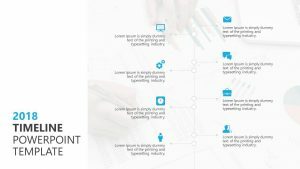 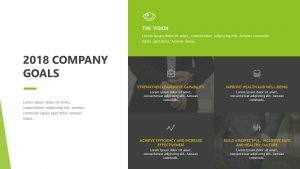 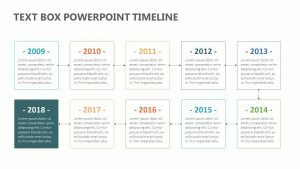 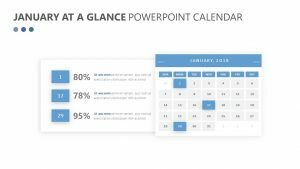 Year at-a-glance planner for PowerPoint. 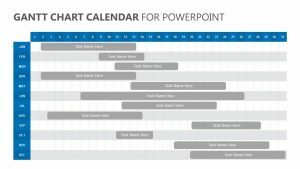 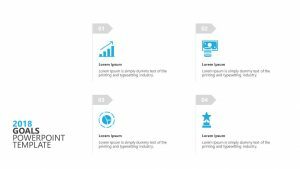 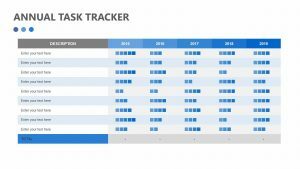 The 2018 Full Year Calendar for PowerPoint allows you to plan out your year for your business or project with a clear and easy-to-read setup. 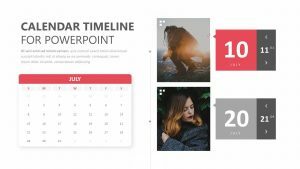 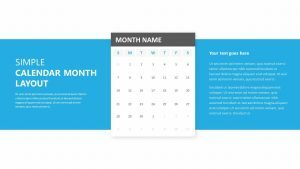 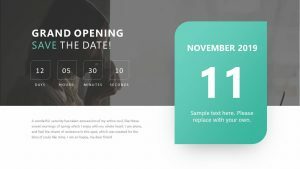 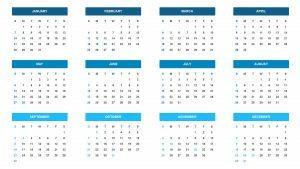 This PowerPoint template features a 2018 calendar with all of the months and days displayed on the first page. 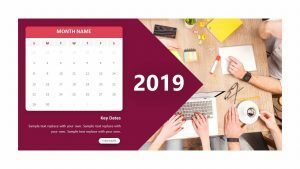 You can customize the colors of each one so that they are all different and perhaps correspond to different goals that you are hoping to meet during those months. 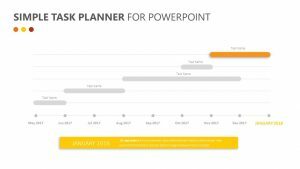 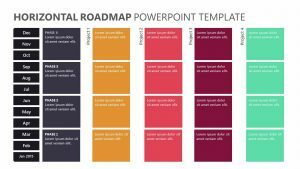 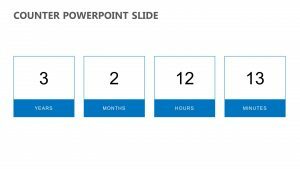 Make a plan of action and show the time frame in which you want certain goals completed with this PowerPoint template.